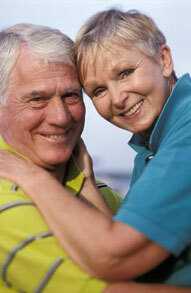 Are you looking for the best dental practice to get effective partial or complete and immediate dentures? If so, you have come to the right place. Dr. John Chan is not only offer professional quality dentures, he also offers superior general and cosmetic dental care. Don't trust your teeth to just anyone. Come on in and experience Dr. Chan's difference today! Dentures are a fantastic tooth replacement option for anyone with one or more missing or damaged teeth who is ready to restore their warm and beautiful smile. Dr. Chan provides both partial and complete dentures, so whether you are missing only a few teeth or all of them, dentures may be the perfect solution for you. Come on in to our Turlock, CA dental office for a consultation today! Hand soap or mild dish washing liquid to clean dentures is also acceptable. Other types of household cleaners and many toothpastes are too abrasive and should not be used for cleaning dentures. A denture could lose its proper shape if it is not kept moist. At night, the denture should be placed in soaking solution or water. However, if the appliance has metal attachments, they could be tarnished if placed in soaking solution.